Scholar's corner: what does the Qur'an actually say about Jews and Christians? As noted earlier, Jews and Christian are People of the Book (Ahl al-Kitab) and defined in the Qur’an as those to whom divine revelation was given prior to the advent of the Prophet Muhammad. The Qur’an by referring to Christians and Jews as Ahl al-Kitab, confirms that they also possess divine scriptures. The term Ahl al-Kitab, made 32 appearances in the Qur’an. Mary, Jesus’ mother is distinguished in the Qur’an as the only woman for whom a chapter is named after, and the only woman’s name mentioned in the Qur’an. Her name made 34 appearances in the Qur’an. Jesus is mentioned in the Qur’an more than 30 times. 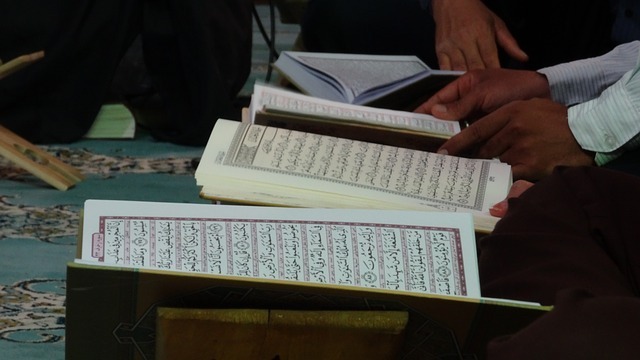 The word Injil, the Quranic term corresponding to the Gospel appears a dozen times. There is a substantial number of Quranic verses that praise and confirm the divinity of Judaism and Christianity. The Qur’an states: “We sent Jesus son of Mary confirming the Torah that had come before him and gave him the Gospel in which there is guidance and light”. (Q.5:46). It further states: “And He sent down the Torah and the Injeel (Gospel); aforetime as guidance to mankind.”(Q.3:4). Another Qur’anic verse reads: “… A party of the People of the Book stand for the right; they recite the revelation of God during the hours of night, and falling prostate before Him. They believe in God and the last Day; and enjoin the right conduct and forbid indecency” (Q.3:113). It is difficult to miss the deep recognition the Qur’an accords the People of the Book, in general terms, and Christianity in particular. Moreover, the Qur’an makes it a religious duty for Muslims to affirm their faith in both Judaism and Christianity. This is to say that, for a Muslim, belief in the People of the Book and their scriptures forms part of their belief in the Qur’an: “O you who believe [Muslims]! Believe in God his messenger and his book which he has sent down to his messenger [Muhammad] and the scriptures which he sent down to those before. And whoever disbelieves in God his angels his books his messengers, and the last day, then indeed he has strayed far away.” (Q.4:136). In another Quranic verse, God ordered Muhammad to declare the following: “Say [Muhammad] we believe in God, and in what has been revealed to us [the Qur’an] and what has been revealed to Abraham, Ismael, Isaac, Jacob and the Tribes and in the Books given to Moses, Jesus and all the prophets from their lord, we make no distinction between one and another among them.” (Q.3:84). The Qur’an, in fact, promises good Muslims, Christians, and Jews the same reward: “[Say] the (Muslims) believers, the Jews, the Christians, and the Sabian – all those who believe in God and the last Day and do good – they will have their rewards with their Lord. No fear for them, nor will they grieve.” (Q.2:62). For some Muslims however, these Qur’anic verses praising Jews and Christians, are abrogated by other verses and therefore do not carry any divine order. In other words, for this school of thought, since the Qur’an states that Muhammad is the last Prophet (Q.33:40); all the previous religions and their laws from Adam to Jesus are abrogated by Islam. It could also be argued that Maududi also represented this view. “This day, I have perfected your religion for you, and completed my favor upon you, and chosen for you Islam as your religion.”(Q.5:4). “The only true religion with God is Islam.” (Q.3:19). “And whoever seeks a religion other than Islam, it will never be accepted of him, and in the hereafter he will be one of the losers.” (Q.3:86). For adherents to this school of thought the matter is clear: not only is Islam the final religion but Jews and Christians have a religious obligation to convert to Islam, and a failure to do so leaves them behind. It should also be noted that a good number of Muslims think that only God knows what will happen to the Christians and Jews who refuse to embrace Islam. A good number of Muslims, however, also believe that Jews and Christians are disbelievers (Kuffar). On many occasions, I have witnessed how some act on this belief in the most appalling of fashions, as I will elaborate on in the following chapters.